Discussion in 'Hunter (HFT) & Field Target (FT)' started by BPTAYLOR, Mar 27, 2011. 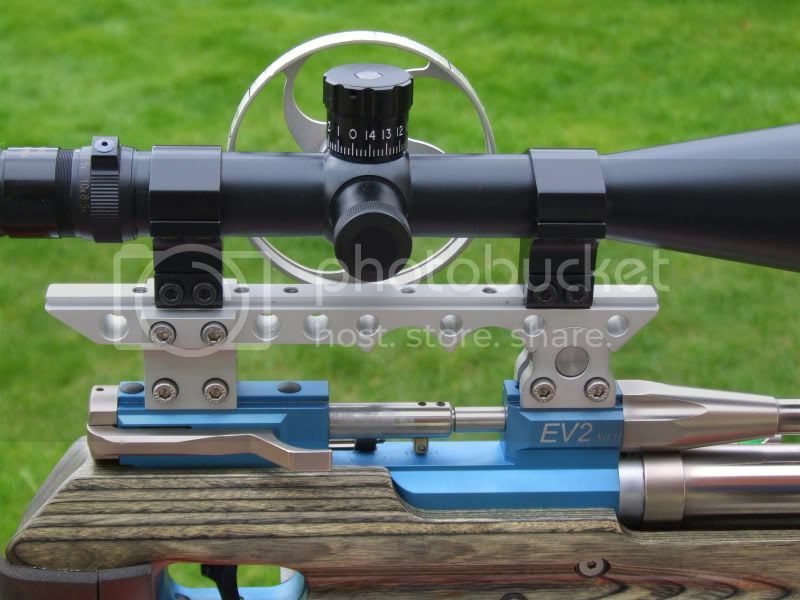 With the adjustable bridge rail you can do away with shimming the rear mount so no stress or damage of the scope tube, you have micro adjustment on the rear of the rail and the rear block can be placed in any of four positions and the front block in any of three so your scope goes where you want it, also raises scope so you adopt a more natural and relaxed head up shooting position. The dovetail rail is 220mm long so again plenty of room to position mounts. Cnc machined from solid billet aluminium and comes finished in anodised black or silver with stainless fittings. Could you do one of these to fit a Pro Target with the offset dovetail heights? PS. What height are they from the bottom to the top dovetail 'shoulder'? Only made a small batch but next time i set up i will make some to fit the protarget, the height from bottom of dovetail to bottom of dovetail is 40mm. Ok. When you do, put me down for one in black.